It’s here, it’s here. Everyone’s favorite, practically perfect nanny, Mary Poppins, soars into the Topfer Theatre as ZACH Theatre’s 2016 summer musical. 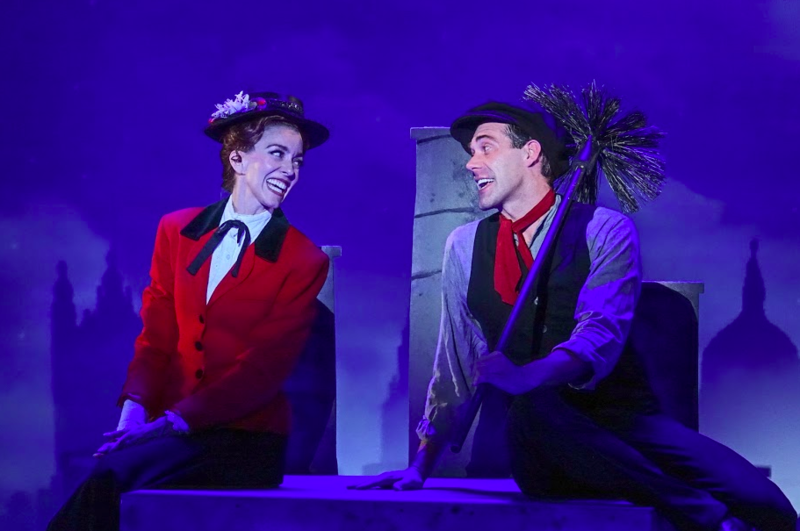 The inimitable Jill Blackwood and unstoppable Matthew Redden will star in Mary Poppins on stage in the Topfer Theatre through September 4 under the direction of Dave Steakley, ZACH Theatre’s Producing Artistic Director, with musical direction by Allen Robertson, and choreography by Robin Lewis. Drawn from the groundbreaking 1964 Disney film and the brilliant series of books, this delightful family musical features the unforgettable songs “A Spoonful of Sugar” and “Chim Chim Cher-ee.” Dave Steakley and the creative team who brought you The Who’s Tommy and A Christmas Carol will reinvent this beloved musical into a sublimely “Supercalifragilisticexpialidocius” new production – jam-packed with unforgettable theatrical magic! This delightful musical based on the stories of P.L. Travers and the Walt Disney film and promises to be a fantastic romp for the entire family, so what are you waiting for? Tickets online at http:www.zachtheatre.org, by phone at 512-476-0541 ext. 1, or in person at the ZACH Theatre Box Office, in the Topfer Theatre, 202 South Lamar Blvd. (corner of Riverside Drive and South Lamar Blvd.) Monday through Saturday, noon – 5 p.m. ZACH Theatre is wheelchair accessible.